Preheat oven to 350°. 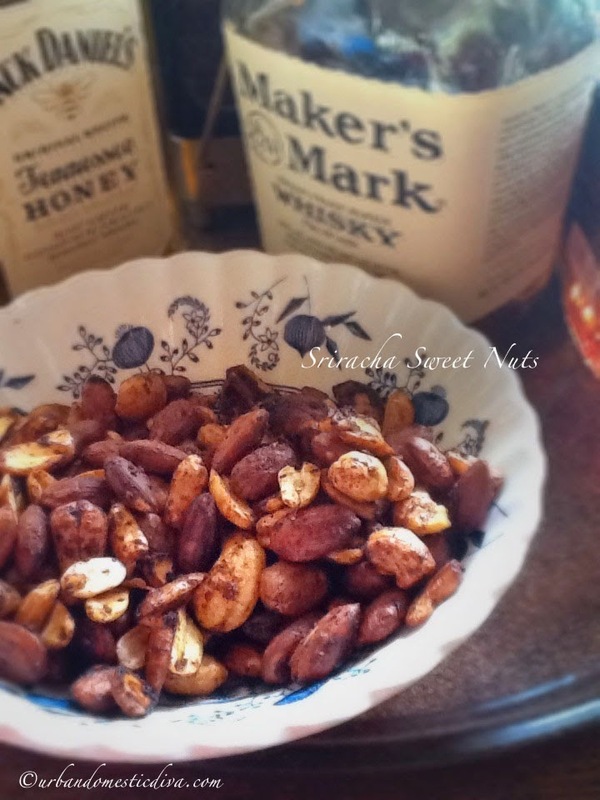 Toss the nuts with the spices, soy sauce and Sriracha, salt, sugar and mix. Then add the oil last and toss to coat. 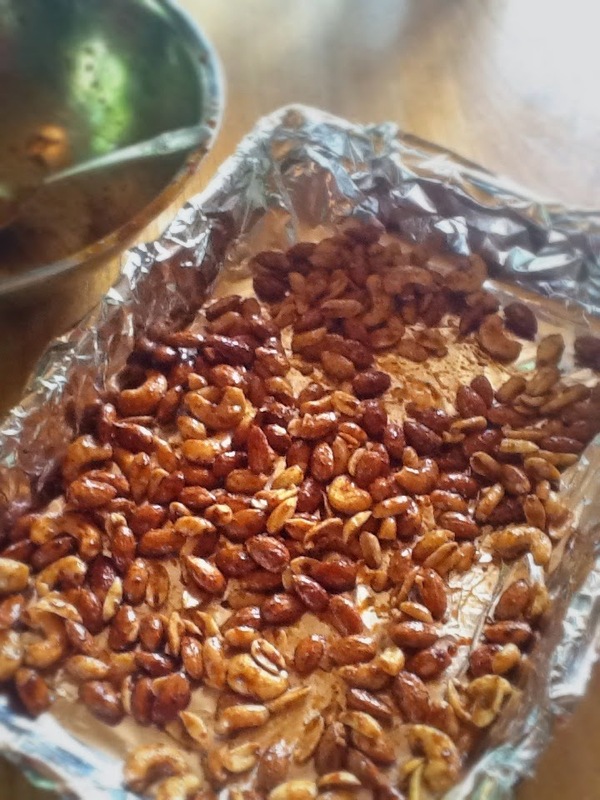 Lay them on a foil lined baking sheet evenly and bake for 10 to 15 minutes, tossing the nuts around a couple times so that they dry out and roast on all sides. Once toasted and dry, pull them out and let cool. Serve in a bowl with some cocktails.